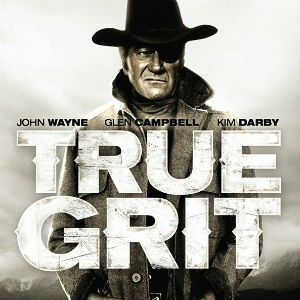 True Grit (filmed summer and fall, 1968) – When Charles Portis’ novel was published early in 1968, John Wayne received a pre-publication copy and directed his son to buy the movie rights for their Batjac production company. The Waynes lost out to Paramount, who immediately hired Wayne to play the part of Rooster Cogburn. Interested in True Grit walking tours? Click for info. 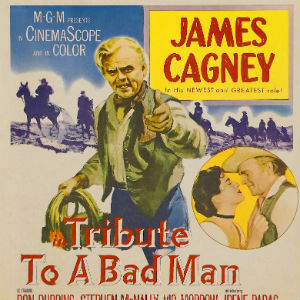 Tribute to a Bad Man (1957) – filmed just south of Ridgway on Miller Mesa on the old Walther ranch, near Top of the Pines and the Elk Meadows mailboxes on County Road 5. 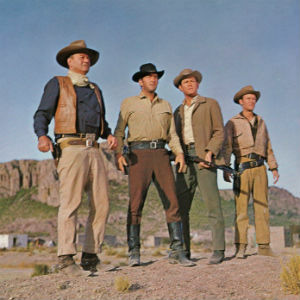 Written by Jack Schaefer, who also wrote the classic westerns Shane and Monte Walsh. Directed by Robert Wise (The Sound of Music, West Side Story, The Andromeda Strain, The Day the Earth Stood Still). Originally to star Spencer Tracy, Tracy hated southwestern Colorado and Wise fired him and replaced him with James Cagney. This was Cagney’s last western. 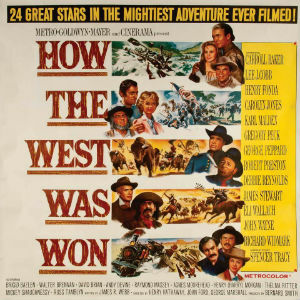 How the West Was Won (1962) – Ridgway’s Hartwell Park, Cow Creek, and the Katie’s Meadow (Debbie’s meadow) areas used by director Henry Hathaway, who later used the same areas for True Grit. The meadow was used for the scene where wagon master Robert Preston proposes to Debbie Reynolds. The Sons of Katie Elder (1965) – While this film was not filmed in the immediate Ridgway area (a bit was shot on the Denver and Rio Grande Western Railroad near Durango), it is based on the lives of George and Charley Marlow, who lived in Ridgway and the Colona area from 1890 to about 1920 and maintained strong ties to the area until their deaths in the early 1940s. While in this area they were respected ranchers and served as lawmen for about 10 years. The portion of their life story that became the movie took place in western Texas in 1888 to 1889, and their real-life story is much more dramatic than the movie. They have many descendants in the area.